Oscar Classical Script Exchange Site ---Upload Preferable Scripts ,Win the Honorable Prize!For an ordinary computer mouse, the moue itself is restricted by its default settings, even for those programmable ones, you are still bounded by its limited applications. A4Tech’s X7 “Oscar Mouse Editor” breaks through this barrier, users are able to establish homemade programs by using simple logic commands (such as “Loop”, “If”, “Equal to”, “Interval Repeat”, “Jump”…etc.) or by using command combinations (like “Change the Time Delay between commands”, “Control cursor absolute/relative displacements”, “Mouse simulation”, “Keyboard simulation”, “Record the keyboard & mouse continuous actions”…etc.). Simplicity, high effectiveness, and the overwhelming power of Oscar will bring you the unprecedented experience and dominate the play! 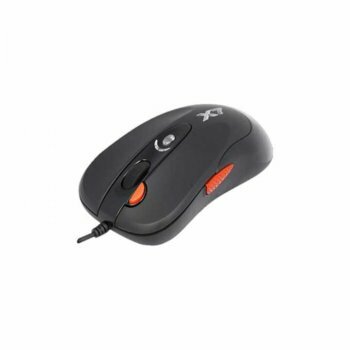 The customizable “DPI Button” with Color Indicator” instantly shifts multiple sensitivity levels between 100 - 2000 dpi. The mouse gives you quick access from pixel-precise targeting to lightning-fast maneuvers without pausing the action. You can set mouse key responding time between 3-30ms. 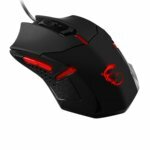 It not only extends the mouse key switch lifetime but also offers quick response over your opponents during the game play. 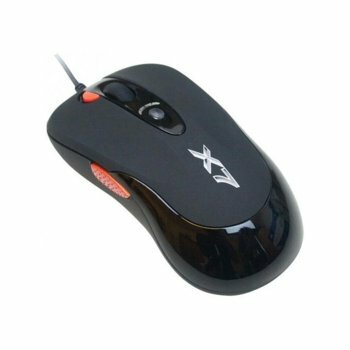 Instead of complex and repetitive mouse operations, you can tailor-made your mouse and perform any one-click game stunts to win the games effortlessly. Store your favorite macros in the 16K memory, and play on any other computers instantly. No driver is needed. 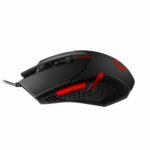 Designed with extreme fast report rate up to 1ms with full-speed USB (Maximum 1000Hz reports/sec) , the mouse allows you to fight 8 times faster than 8ms with an normal low speed USB mouse(125Hz).